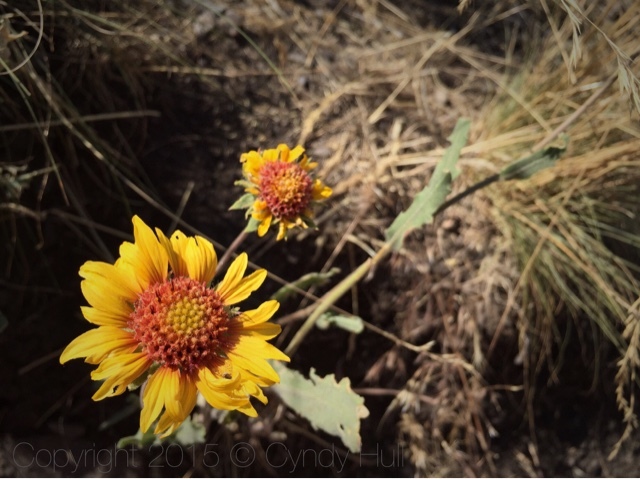 Despite the persistent heat, Mount Sentinel boasts vibrant varieties of blooming wildflowers, including this bright blanketflower. In the interests of preserving natural flora, aforementioned blanketflower included, the M trail is rife with signs reminding travelers to keep to the trail. Bear in mind that the main path to the giant M consists entirely of ELEVEN huff-puff inducing switchbacks, divided amongst 620 vertical feet, with only steep and wire fencing in between. I have to wonder if these admonishments exist thanks to some crazed coed who hopped the fencing only to slide, screaming like a banshee, 600+ feet to the trailhead. THAT would definitely be a diversionary trail sighting! But bad for any wildflowers en route. So let's hope the signs are merely a theory-based preventative.